Here's where to watch every episode of Fair City season 27. Mouseover or tap an episode to see where to stream it. Click or tap the play icon to stream it on the best available service. Sun 20 Dec 2015 Dec 20, 2015 Debbie's son Emmet learns how his brother died, Heather promises to give Eleanor a happy Christmas in spite of recent events, and Tommy and Caoimhe have a surprise visitor. Wed 23 Dec 2015 Dec 23, 2015 Tension at the O’Brien’s reaches fever pitch when Eoghan discovers Emmet’s lie. Heather uses Ellie in her plot to turn the family against Farrah. Paul’s plans for a quiet family Christmas are challenged. Neasa’s return unsettles Caoimhe. Thu 24 Dec 2015 Dec 24, 2015 Farrah decides to play Heather at her own game. But will she succeed? With the O’Brien’s in turmoil, Eoghan fears Debbie is at breaking point. Tension between Neasa and Caoimhe escalates. Niamh is surprised on more than one front. Tue 29 Dec 2015 Dec 29, 2015 Emmet is caught in the act by Katy. The O’Briens worry as Emmet’s behaviour spirals further out of control. Dan is floored when Sally makes a shocking announcement. Heather continues to use Ellie to manipulate her family. Relations between Neasa and Tommy worsen as Tommy struggles to accept his daughter’s lifestyle. Wed 30 Dec 2015 Dec 30, 2015 Katy discovers Emmet’s reckless actions and takes drastic measures. Can their relationship survive the fallout? Robbie helps Dan come to a life-changing decision, while Carol inadvertently causes Sally to get cold feet. Heather coerces Ellie into believing she’s unwell. Neasa makes an impulsive decision, worrying Caoimhe. Thu 31 Dec 2015 Dec 31, 2015 Heather insists Eleanor is too weak to ring in the New Year, and may go to drastic lengths to prove it. Eoghan and Emmet remain on collision course. Neasa is surprised she finds it tough to leave, while Robbie suggests Dan do something to fix things with Sally before it's too late. Sun 03 Jan 2016 Jan 3, 2016 Heather’s erratic behaviour shows no signs of abating will Farrah uncover her sister’s dark secret? Pete learns of Jackie’s stress levels and becomes concerned for her mental health while Hayley is determined to stir up trouble between Louise and Dean. Tue 05 Jan 2016 Jan 5, 2016 Louise takes revenge on Dean but plays right into Hayley’s hands. Debbie is terrified at the thought of returning to Ballintine. Heather plays a dangerous game with Ellie while Ray and Leo look set for a fine bromance. Wed 06 Jan 2016 Jan 6, 2016 Louise faces losing Dean forever if she comes clean while Hayley declares war. Pete is taken aback when Jackie sets down the rules. Emmet shows his true colours. Ama and Heather reach boiling point and Ray is guilted into allowing Deegan into his new circle. Sun 10 Jan 2016 Jan 10, 2016 Emmet gets into Robbie’s good books by helping him shift some mysterious stock, while Bob begins to set his sights on Jackie. Dean is unsettled by the news that Louise may be leaving for good. Has Heather gone too far this time? Tue 12 Jan 2016 Jan 12, 2016 Dean finds himself in hot water with Louise and Hayley, while Bob pushes his friendship with Jackie too far. Heather uses Ellie to get closer to Shane, and Emmet causes tension at The Station. Wed 13 Jan 2016 Jan 13, 2016 Bob and Jackie’s attempts to remain professional after their kiss falls flat, while Heather realises that the way to Shane’s heart is through Ama. Caoimhe is proven right about Emmet when Robbie realises Emmet may have ripped him off. And can Louise bring herself to break Dean’s heart again? Thu 14 Jan 2016 Jan 14, 2016 Can Bob and Jackie overcome their antipathy and act on their feelings for each other? Heather is fearful that Ellie’s test results may expose her, while Robbie teams up with Caoimhe to teach Emmet a lesson he won’t forget. Louise practises tough love on Dean in a shocking way. Sun 17 Jan 2016 Jan 17, 2016 Bob works his charm on Jackie, but Dean struggles to reconnect with Hayley. Heather’s increasing intimacy with Shane worries Ama. Ellie’s mysterious illness takes another turn. Tue 19 Jan 2016 Jan 19, 2016 Charlotte Bishop steps closer to the dark side, leading to heartbreak for Cass. Dean adds Caoimhe to the long list of women he is currently exasperating. Heather goes too far with Ellie, and decides to confess everything to Shane. Wed 20 Jan 2016 Jan 20, 2016 A confused Shane does his best to resist Heather’s. Jackie is surprised when Rachel reveals a ruthless business streak. Hayley, vengeful, hatches a plan to get Dean in trouble at work, while a lonely Charlotte opportunistically robs Vinos. Thu 21 Jan 2016 Jan 21, 2016 As Dean pays a high price for neglecting Hayley. Jackie teaches Rachel a lesson, and Charlotte finds an unlikely ally in Tommy. Sun 24 Jan 2016 Jan 24, 2016 Heather, sensing fault lines between Ama and Shane, turns up the heat. Orla, curious about Wayne’s newly upbeat mood, wonders what he’s plotting. Sash and Nina visit and Charlotte bristles. Caoimhe wavers after Bela makes an offer that stings Dean. Tue 26 Feb 2016 Jan 26, 2016 Shane has a close call with Ama, forcing him to rethink his situation. As Sash prepares to spread her mother’s ashes, Charlotte’s convinced Nina won’t show. Wayne tries to keep his wheeling and dealing under wraps, but things don’t go according to plan. Wed 27 Feb 2016 Jan 27, 2016 Shane has a close call with Ama, forcing him to rethink his situation. As Sash prepares to spread her mother’s ashes, Charlotte’s convinced Nina won’t show. Wayne tries to keep his wheeling and dealing under wraps, but things don’t go according to plan. Thu 28 Feb 2016 Jan 28, 2016 Heather is forced to take steps when Renee threatens to reveal the affair to Ama. Orla struggles to come to terms with Wayne’s actions. Nina gives Sash an ultimatum. Caoimhe and Dean reach an understanding. Sun 31 Jan 2016 Jan 31, 2016 Bob tries to intervene as Shane sinks deeper under Heather’s spell. Pierce gets some unsettling news while Charlotte feels pushed out by Sash. Meanwhile Orla is not happy with Jane’s interest in Wayne’s future. Tue 02 Feb 2016 Feb 2, 2016 When Heather pulls out all the stops to keep Shane, Bob takes matters into his own hands. Pierce hides the truth about his situation from Rachel and Charlotte misleads Kerri-Ann. Wed 03 Feb 2016 Feb 3, 2016 Heather plans to get Renee’s attention, even at the cost of making Ellie ill, but things escalate horribly. Ama fails to get through to Shane, who remains fixated on Heather. Kerri-Ann finds herself even more ill at ease in the Bishops’ house. A delay in the app sale finds Pierce in financial difficulty. Thu 04 Feb 2016 Feb 4, 2016 Heather controls the situation by manipulating Ellie, but finds Ama has her in her sights. Shane continues to string Ama along, as he begins to have doubts about Heather. The Bishops find a novel way to welcome Kerri-Ann to the family. Katy comes to the rescue of a cornered Pierce. Sun 07 Feb 2016 Feb 7, 2016 Ama uncovers the shocking truth about Heather. Shane, shaken by Ama’s findings, tries to end the affair. Pierce meanwhile keeps Rachel in the dark about his financial problems while Sash and Robbie get off to a terrible start. Wed 10 Feb 2016 Feb 10, 2016 An agitated Heather makes plans for her and her daughter to leave Carrigstown, however Ellie, fearing she’s the source of her mother’s distress, makes plans of her own. Sash stands her ground on dodgy dealings in the Station while a broke Pierce takes advantage of Doug’s mechanic skills. Thu 11 Feb 2016 Feb 11, 2016 Although reunited with Ellie, the pressure on Heather proves to be too much. Sash and Robbie finally draw a truce. Doug and Pierce make amends but Pierce’s cash flow problem may be much bigger than it first appeared. Sun 14 Feb 2016 Feb 14, 2016 Rachel is stunned by Pierce's admission. Renee is shocked at Heather's condition. Mondo strikes a deal with Hayley. Pete and Damien reach an agreement. Tue 16 Feb 2016 Feb 16, 2016 Farrah and Renee are shocked when Ellie goes into total meltdown. Ama is badly shaken when she receives an unexpected invitation. Pierce pretends to give in to Paul but has plans of his own. Damien is angered when he catches Pete out on a lie. Wed 17 Feb 2016 Feb 17, 2016 Ama is horrified at Heather's behaviour. Renee is terrified that Ama will reveal the truth to the authorities. Mondo is caught in the crossfire when sparks fly between Hayley and Dean. Frustrated by Pete's deceit, Damien defies Pete. Thu 18 Feb 2016 Feb 18, 2016 Pierce, desperate for cash, takes drastic actions, while tensions rise between Pete and Damien. Renee's idea to cheer up Ellie backfires, and although Mondo is convinced he has a chance with Hayley, she has other ideas. Sun 21 Feb 2016 Feb 21, 2016 Rachel, shocked to discover that Pierce went behind her back, is forced to make a big decision. Mondo’s attempts to pursue Hayley end in disaster. Rose gets under Debbie’s feet, putting Eoghan in an awkward position. With Damien’s side job discovered, Damien and Pete work to put their animosity to the side- but will Damien be able to finish the work on time? Tue 23 Feb 2016 Feb 23, 2016 When Rachel discovers Pierce has lied, she insists they can’t go to Australia. This leaves Pierce with a heartbreaking decision. A nervous Caoimhe and Damien have their first baby scan. Hayley is grateful to Mondo for his help but will she offer him a job? Wed 24 Feb 2016 Feb 24, 2016 Rachel’s reaction to Pierce’s fleeing alarms Paul and Niamh. Mondo goes to extreme measures to prove himself to Hayley. Rose is forced to explain herself to Eoghan but is she telling the entire truth? Pete becomes increasingly frustrated by Tommy’s presence. Thu 25 Feb 2016 Feb 25, 2016 Dean invents a date to avoid spending time alone with Hayley and Debbie faces the unwelcome prospect of living with Rose again. Pierce makes one last declaration of love to Rachel. Sun 28 Feb 2016 Feb 28, 2016 Pete’s growing frustration with Tommy forces Damien to choose sides. Rachel struggles to keep the truth about Pierce a secret. Rose has doubts that Katy’s as okay as she’s letting on. Carol’s new business idea shocks Robbie. Tue 01 Mar 2016 Mar 1, 2016 Damien’s finds his loyalties tested when Tommy and Pete’s feud escalates. Katy uses Charlotte’s party to distract herself from her grief. Tensions run high when Rose suggests Debbie put Michael’s death behind her for the good of her family and Carol prepares for the CAB auction. Wed 02 Mar 2016 Mar 2, 2016 Wayne angles to impress Carol, but Robbie proves unhelpful. How long can Damien and Pete work together before trouble flares again? Debbie’s makeover stuns a grieving Katy. Doug buckles under pressure and allows Charlie’s house to be used as a party venue, with disastrous results. Thu 03 Mar 2016 Mar 3, 2016 Debbie must reach out to a struggling Katy and bring her back into the fold. Robbie puts Wayne through his paces at the car auction, while Pete is furious to discover that Damien has gone behind his back yet again. How will Doug react to Rachel’s shocking accusation? Sun 06 Mar 2016 Mar 6, 2016 Tension rises between Pete, Tommy and Damien over the break-in, Doug tries to persuade Charlotte and Katy to confess, Eoghan is arrested, and Carol seeks a business partner. Tue 08 Mar 2016 Mar 8, 2016 Charlie gives Charlotte a card and a voucher on her birthday, leaving her feeling even more guilty about the awful aftermath of the party. Wed 09 Mar 2016 Mar 9, 2016 Tommy gives Debbie some marital advice. Charlie gets a dangerous shock. Doug's secret puts intolerable pressure on Pete. Orla's rage at Paul turns physical. Thu 10 Mar 2016 Mar 10, 2016 Wayne is fed up of being humiliated by Paul and prepares to leave Carrigstown. Tension reaches breaking point between Pete and Damien, and Charlotte gives Doug a few home truths. Sun 13 Mar 2016 Mar 13, 2016 Oisin turns up at the Brennans', and Niamh becomes concerned about why he has returned. Meanwhile, Dan surprises Carol and Robbie when he returns from England for a short stay. Tue 15 Mar 2016 Mar 15, 2016 Oisin expresses an interest in taking up long-term residence in Carrigstown, while Charlie and Rose try to offer Cass some constructive criticism of his play. Wed 16 Mar 2016 Mar 16, 2016 Oisin avoids a scolding from Nicola when he reveals he is planning to exploit Paul, and Ama makes it very clear she considers Doug a friend-and nothing more. Thu 17 Mar 2016 Mar 17, 2016 A suspicious call from Nicola's new man fails to alert Paul to Oisin's scam, and things are awkward between Ama and Doug following the previous night's misunderstanding. Sun 20 Mar 2016 Mar 20, 2016 Paul gives Oisin an administrative job at the Pod, much to the dismay of Rachel, and Doug makes it clear he will not be comfortable being 'just friends' with Ama. Tue 22 Mar 2016 Mar 22, 2016 Oisin turns the Pod job to his advantage, finding in Charlotte a willing partner in crime. Emmet has fun using a hapless Doug to get to Ama. Niamh, pranked by Oisin, unwittingly helps to bring the curtain down on Cass's play. Sally worries about Dan's lack of enthusiasm for life in England. Wed 23 Mar 2016 Mar 23, 2016 Oisin and Charlotte continue to bond much to the alarm of Decco and Paul. As Emmet continues to play games, Doug is forced to confront his own feelings for Ama. Katy tries to rescue the 1916 commemoration. Dean, suspecting Dan's heart is in Dublin, advises him to be honest with Sally. Thu 24 Mar 2016 Mar 24, 2016 Katy and Cass decide to go ahead with their 1916 project but can they convince Charlie to support it? Sally discovers that Dan isn’t being open with her and comes to a decision about their relationship. Doug realizes that ignoring Ama is just as hard as being friends with her. Rachel finds out about Oisin’s networking party but will she tell Paul? Sun 27 Mar 2016 Mar 27, 2016 Oisin and Charlotte take their business and relationship to the next level, causing much mischief along the way. Dermot receives an upsetting communication from Ben. As Carrigstown celebrates Easter with a family day, Bob and Renee struggle in their role as parents for a troubled Ellie. Tommy finds himself lumbered with a new work partner. Tue 29 Mar 2016 Mar 29, 2016 Charlotte and Oisín play games with their families. A troubled Dermot clashes with Amanda. Farrah enjoys a flirtation with Emmet. Ellie is determined to find Heather. Wed 30 Mar 2016 Mar 30, 2016 Renee is horrified when Zoe reveals that Ellie has sneaked off to see Heather. Outraged, Decco warns Oisin to keep away from Charlotte or he’ll regret it. As Dermot takes his anger out on Tommy, Tommy is horrified to realise that Dermot wants to destroy him. Tension rises between Farrah and Ama over Emmet. 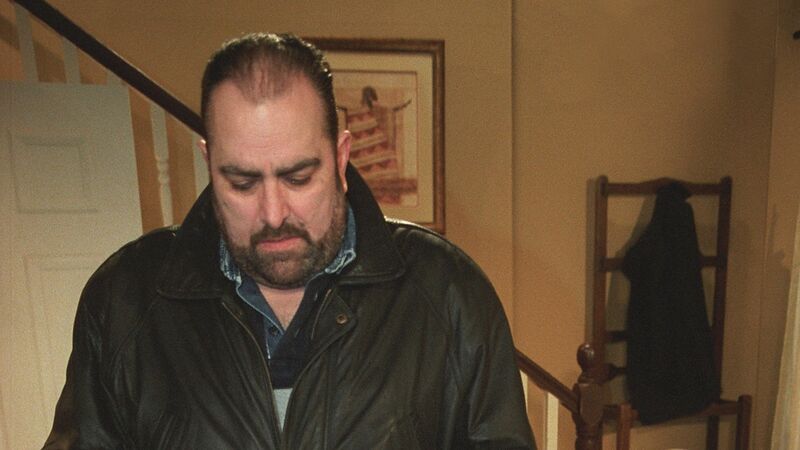 Thu 31 Mar 2016 Mar 31, 2016 Decco reveals his plan to deal with Oisin the Bishop way. A stressed Renee is confronted with admitting the truth about Heather. Dermot finds himself friendless when he admits his lie. Farrah and Ama teach Emmet a lesson. Sun 03 Apr 2016 Apr 3, 2016 Jane is in trouble at McCoys, and Caoimhe has a disturbing theory about Dermot. Charlotte’s X-rated selfie doesn’t have the planned effect, while Decco tackles his problems Paddy Bishop style. Tue 05 Apr 2016 Apr 5, 2016 Deegan intervenes when Ellie’s delinquency takes an explosive turn. Decco’s demons make an ugly comeback, while Pete and Damien battle and Oisín tangles with a dangerous intruder. Wed 06 Apr 2016 Apr 6, 2016 Dermot and Pete are determined to learn what Tommy is hiding in the allotment shed but their snooping has catastrophic consequences. Thu 07 Apr 2016 Apr 7, 2016 Relations between the Go2Guys hit rock bottom. Oisín and Charlotte decide to stop sneaking around. Ellie’s manipulative behaviour leaves Renee uneasy, and with Jane convinced Orla will be fired, Hughie has a surprise in store. Sun 10 Apr 2016 Apr 10, 2016 An unexpected visit from Deirdre brings devastating news for Dermot. Things look up for Jane when she catches the eye of a handsome stranger. Mondo and Emmet out-manoeuvre one another to impress Hayley. Tue 12 Apr 2016 Apr 12, 2016 Dermot feels powerless as his world is turned upside down by Jo’s betrayal. Jane finds an unlikely ally in Wayne when she hits rock-bottom. Emmet pulls off a daring stroke to charm Hayley. Renee struggles with the demands of parenting. Wed 13 Apr 2016 Apr 13, 2016 Wayne is determined to thaw relations between Orla and Jane, while Ellie schemes to give Renee the slip. Emmet cooks up a money making venture, if only he could persuade Hayley to jump on board. Shaken by the meltdown of his marriage, Dermot seriously misreads Deirdre’s sympathy. Thu 14 Apr 2016 Apr 14, 2016 When Emmet’s murky scheme comes a cropper, how will he gets his debtors off his back? Renee suffers a crisis of confidence on the parenting front. Wayne’s big bash for Jane’s birthday backfires unpleasantly. Dermot must deliver some heart breaking news to his children. Sun 17 Apr 2016 Apr 17, 2016 Tommy and Debbie’s friendship takes an unexpected turn. Emmet struggles to get himself out of trouble and Hayley’s not helping while Damien’s shocked to see who’s back in town. Tue 19 Apr 2016 Apr 19, 2016 Emmet’s big plan to make a quick buck don’t go to plan. Tommy and Debbie do their best to deal with the awkwardness while Laura gets a wake-up call. Thu 21 Apr 2016 Apr 21, 2016 Eoghan's accusation pushes Tommy to act, Emmet plays a trick on Ciaran and Laura resolves to change her life. Katy worries that her writing is too personal. Sun 24 Apr 2016 Apr 24, 2016 The 1916 re-enactment does not go to plan, Debbie becomes increasingly unhappy with Eoghan, and Niamh is concerned by Sean's growing discontent. Tue 26 Apr 2016 Apr 26, 2016 Debbie tries not to go to Tommy – will she succeed? Sean clashes with Deegan. Emmet attempts to get back in with Robbie. Cass’s plan to cheer up Ray goes wrong. Wed 27 Apr 2016 Apr 27, 2016 Sean deals with the aftermath of being arrested. Ray has a novel idea for the lads. Emmet strives to prove himself to Robbie, but will he get his job back? After spending the night with Tommy, Debbie has a reality check. Thu 28 Apr 2016 Apr 28, 2016 Debbie and Tommy are left frustrated when their perfect day does not go to plan. Emmet wangles his way into Charlie’s house. Sean is chuffed when mystery girl returns. Cass & Co decide on a group activity but will Rose object that it’s sexist? Tue 03 May 2016 May 3, 2016 It looks as if Tommy and Debbie's affair is about to become public knowledge. Laura and Dan get a surprise business opportunity, and Katy ditches her studies for a blind date. Wed 04 May 2016 May 4, 2016 Dean worries that Laura is under too much pressure, but she insists she can handle it. Oisín and Charlotte continue to play a dangerous game. Katy makes a decision about Stella, but Emmet accidentally ruins her date. Debbie is torn between family and what she feels for Tommy. Sun 08 May 2016 May 8, 2016 Katy's world crumbles as Debbie forces her into an impossible situation. Debbie must choose whether or not to continue her fling with Tommy. Oisin and Charlotte up their campaign against Jane. Caoimhe and Dean intervene to try to rescue Dan and Laura's business and friendship. Tue 10 May 2016 May 10, 2016 Paul is shocked to discover what Oisín is up to in the Pod. Debbie fears too many people know about her and Tommy. A surprise guest scuppers Decco’s romantic plans. Sean worries his new girlfriend is out of his league. Wed 11 May 2016 May 11, 2016 Kerri-Ann tells Decco she is keen to have a baby. Sean lies to his girlfriend about his role at the Station, and Debbie worries Melanie will tell Eoghan about her affair with Tommy. Sun 15 May 2016 May 15, 2016 When Katy doesn’t arrive home as promised, Debbie thinks she’s punishing her. Charlotte and Oisin break into Jane’s flat and cause some mischief. Decco is forced to babysit Kim and Kerri-Ann hopes it’ll change his mind about babies. Sean is put out when he thinks Mondo is moving in on Karen. Tue 17 May 2016 May 17, 2016 The O’Briens contact the police when Katy doesn’t turn up for her exams. Charlotte worries they may be going too far when she sees Jane experience a dizzy spell. Decco tells Kerri-Ann he wants to be with her, babies and all. Karen isn’t pleased when she finds out Sean has been lying to her. Wed 18 May 2016 May 18, 2016 Debbie faces a difficult choice, as Jane refuses to accept her test results. Pete and Damien reach crunch point in their partnership, and Decco decides to pop a big question. Thu 19 May 2016 May 19, 2016 As the O’Briens escalate their search for Katy, Deegan delivers bad news. Decco is nervous as he tries to plan the perfect proposal, while Pete’s efforts to reconcile with Damien backfire. Jane rejects Ama’s advice, and determines to have more fun. Sun 22 May 2016 May 22, 2016 Kerri-Ann’s dreams are in serious danger, while Oisín’s campaign against Jane intensifies. Eoghan wonders about Debbie’s behaviour. Violence erupts against Tommy, but the number one suspect is still at large. Tue 24 May 2016 May 24, 2016 The O’Briens receive a disturbing visit, Jane faces down an intruder, and Deegan’s suspicions find a new target. Meanwhile, romance breaks out in unexpected places. Wed 25 May 2016 May 25, 2016 Eoghan lashes out at Debbie for hiding the truth about her clash with Katy, and Oisin faces a grilling from both the Guards and Paul after being outed as Jane's tormentor. Thu 26 May 2016 May 26, 2016 Rachel tries to conduct some damage control as suspicions continue to mount about Oisin, and Eoghan learns the Guards questioned him in relation to Katy's disappearance. Sun 29 May 2016 May 29, 2016 Things look grim for Oisin as the community links his harrassment of Jane to Katy's disappearance, and when Charlotte tries to clear his name, she inadvertently implicates herself. Tue 31 May 2016 May 31, 2016 Paul threatens to expose a secret about Paddy's death unless Charlotte takes the heat off Oisin, and while Debbie pines for Tommy, Laura struggles with her feelings for Sash. Wed 01 Jun 2016 Jun 1, 2016 Charlotte is forced to give in to Paul's threats, Dan discovers rent at the gym has increased by 15 per cent, and Damien has a surprise for Caoimhe-one that Pete manages to spoil. Thu 02 Jun 2016 Jun 2, 2016 Charlotte feels betrayed when Oisin appears to go along with Paul's plan to blame her for harassing Jane, and trouble continues to brew between Damien and Pete. Sun 05 Jun 2016 Jun 5, 2016 Oisin proves he is never one to pass up an opportunity to swindle someone, offering Jane 5,000 euros if she agrees to drop the charges, before telling Paul she has asked for 10,000 - which he willingly provides. Meanwhile, Dolores and Caoimhe conspire to force Pete and Damien to make amends, and Tommy struggles to stay `just friends' with Debbie during an emotional moment during the opening of the new gym. Tue 07 Jun 2016 Jun 7, 2016 Oisin's latest scam proves to be the final straw for Niamh. Laura and Sash give in to their mutual attraction, and Jackie inadvertently drives Debbie into Tommy's arms. Wed 08 Jun 2016 Jun 8, 2016 Niamh anxiously awaits Nicola's arrival, under the impression she will take Oisin back to Cork. Meanwhile, Robbie gets in touch with a man who claims to have known his mother. Thu 09 Jun 2016 Jun 9, 2016 Oisin tries to play Paul off against Niamh. Robbie's meeting with Colin brings bad news, and Ray worries Hayley is taking advantage of Mondo's kindness. Sun 12 Jun 2016 Jun 12, 2016 Nicola's scheming with Oisin causes more tension between Niamh and Paul. Robbie struggles to deal with the news about his mother, and Emmet distracts himself from his troubles. Tue 14 Jun 2016 Jun 14, 2016 Emmet shares his disturbing theory about Katy's disappearance. Niamh is infuriated by unwanted house-guest Nicola, and Robbie tries to come to terms with his past.